Over the course of my life, I’ve read a few different series (as can be expected). 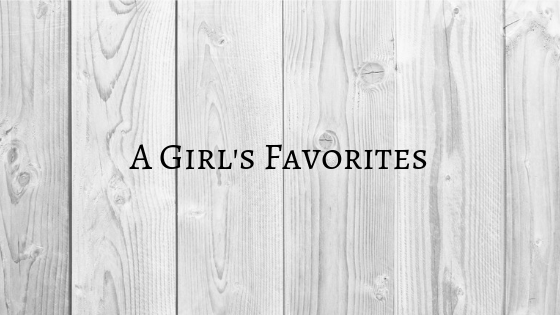 And of course, some of them have become my favorites. And today I’d like to tell you a bit about why they’re my favorites. This is probably my #1 favorite series. I think I read it in middle school or the summer before my freshman year of high school. So it’s been a part of my life for nine or ten years. This is a series that is so full of richness and detail that it would probably take a few read throughs to be able to pick up on most of the details. And given that I’ve only read the series once (and that’s been years ago), the following list is probably going to be lacking some things. The depth of the characters. Let’s take a look at Sam for a hot minute. He doesn’t seem like that much of a character at the beginning of the Trilogy, but by the time Frodo leaves for the Undying Lands, we can see that he’s actually the hero of the Trilogy. He stands by his promise. He does what he needs to to take care of Frodo, even though he sometimes makes mistakes. And he does what could be seen as the impossible. He shows that a person can do great things, even if they doubt themselves. The history/languages/legends/etc. of Middle-Earth. Tolkien went into a heck of a lot of detail when he was creating this world. Within the Trilogy itself, we can see a depth in history with just the Rings. And there’s a lot of detail with the languages. But when we look outside of just the Trilogy, we can see that Tolkien put more effort into it. He fleshed out an entire history of the races (especially the elves), created several languages, and even projected stories after Aragorn was crowned king and Frodo and Gandalf left the Grey Havens. Relationships between people and races. We can see this in a few scenarios (at least). The first is the alliance between elves and men before the War of the Ring. Then, we can look at the Council of Elrond. All four major races (Elves, Men, Dwarves, and Hobbits) and a wizard were represented at this council. And one last example was the Fellowship. Again, all four races were represented, showing that despite their differences, they could work together. There are lessons that can be learned. There are a lot of lessons that can be pulled from this series: how to work together as a team, how to accomplish something great despite the adversity we face, I could probably go on with some more. Again, it’s been years since I’ve read this series, so I’ll probably miss some details or get some wrong. This series is similar in a lot of ways to The Lord of the Rings in that it has richness and detail that’s amazing. C. S. Lewis put a lot of effort into the narrative and the different parts that needed to be fulfilled throughout the story. And just like in The Lord of the Rings, there are lessons to be learned from this series, especially in the Christian context. This is a series that I’m currently reading, and it’s made its way up to be among my favorites. This series has a lot packed into it, so let’s jump in. The relationship between characters. There are a few different relationships going on in this series. One of them (and arguably the most important) is the relationship between Eragon and Saphira. They come to rely on each other. And they miss each other when they’re far apart and can’t feel each other’s presence. When they’re reunited, it’s a sweet encounter. But they’re also able to be sarcastic with each other while having each other’s backs. There’s also a changing relationship between Eragon and Murtagh, and Eragon and Arya. There are so many more people that have relationships with Eragon and there’s different depths of those relationships that it would take a while to go into all that detail. Character developments. Let’s look at Eragon and Roran. Eragon started off as a farm boy who was naive and didn’t know anything of the world outside of Carvahall. But after Saphira hatched for him and he began his travels as Dragon Rider, he began maturing. And the way he dealt with others changed drastically, going from his childish outlook on them to being one who is wise. And as for Roran goes, he started off in much the same way. He didn’t know of the world outside of Palancar Valley. But due to the events of the series, he’s forced to mature and take responsibility for more lives than his own. This series is one that I got into in middle school. I enjoy it predominantly because of the mythology and how it was written. Yes, it has some dark themes, character development, and deep relationships, but I enjoy this series more for the narrative than the deeper implications. There are more series that I enjoy, but these are the ones that have gained a place on my favorites list. What are some of your favorite series and why?